Get set for even more Netflix, wine and chillin' types of nights ahead, because the streaming giant just announced the premiere date for Season 2 of the breakout wrestling hit GLOW along with series premiere dates for freshman series The Innocents and The Staircase. Plus, new details have been released about Emma Stone and Jonah Hill's series Maniac, Idris Elba's return to TV in Turn Up Charlie, and an exciting casting announcement for Season 3 of Stranger Things. As Ruth (Alison Brie) and Debbie (Betty Gilpin) settle into the day-to-day of making a season of TV together, they confront lingering issues at the heart of their friendship. Sam (Marc Maron) is still Sam, but now he has a teenage daughter living with him and twenty episodes to churn out. The wrestling is harder, the stakes are higher, and the hair is even bigger. When teenagers Harry (Percelle Ascott) and June (Sorcha Groundsell) run away from their repressive families to be together, they’re derailed by an extraordinary discovery — June’s ability to shape-shift. As the star-crossed lovers struggle to control this strange new power, a mysterious professor reveals that June is not alone: There are more shifters out there like her, and he promises to cure June and reunite her with the mother who deserted her three years ago. Netflix will be airing three brand-new episodes of the series following the compelling story of Michael Peterson, a crime novelist accused of killing his wife Kathleen after she is found dead at the bottom of a staircase in their home, and the 16 year judicial battle that followed. The new episodes of this true-crime phenomenon will launch alongside the original series, which originally aired in the U.S. on Sundance TV. Starring Emma Stone and Jonah Hill, and directed by Cary Fukunaga, Maniac is the story of two strangers who find themselves caught up in a mind-bending pharmaceutical trial gone awry. Idris Elba is Charlie, a struggling DJ and eternal bachelor, who’s given a final chance at success when he reluctantly becomes a manny to his famous best friend's problem-child daughter. Netflix is bringing the graphic novel, 'V-Wars,' to life. Jake Busey (Starship Troopers, Agents of S.H.I.E.L.D.) and Cary Elwes (Glory, Days of Thunder) are joining the cast for Season 3. 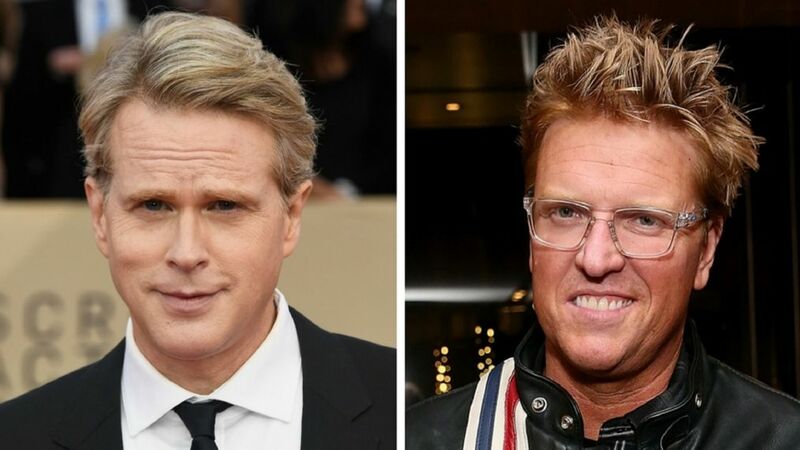 Elwes will play "handsome, slick and sleazy" Hawkins Mayor Kline, while Busey will play Bruce, a journalist for The Hawkins Post "with questionable morals and a sick sense of humor." Additionally, Netflix announced seven new European original series, including Mortel (France), The Wave (Germany), Luna Nera (Italy), La Casa de Papel Part 3 (Spain), and The English Game (UK). These come in the wake of the success the service has had with other international original series like Dark (Germany) and Black Mirror (U.K.).